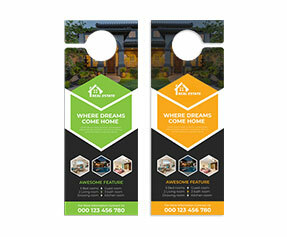 If you are seeking cost efficient yet responsive investment on account of business marketing then choose door hangers as your next tool. 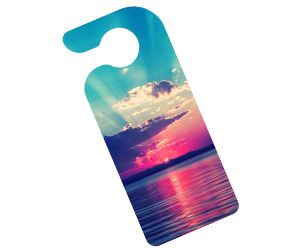 They are also known as doorknob hangers and are among the cheapest yet highly influential marketing tools. 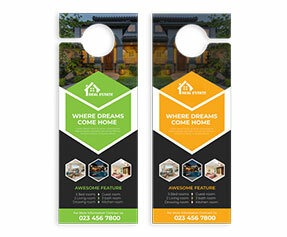 Door hanger printing the sure way to provide your message a big exposure and get your business noticed. 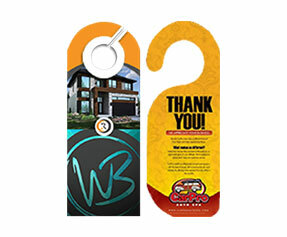 Unlike many other advertising tools, door hangers are more than impossible to be ignored. When they are printed with catchy text and vivacious images, they prove as highly responsive and output oriented advertising tools. Using them for business marketing, political campaigning or just to spread the message of inspiration or awareness among public can make you get the response you had never imagined. 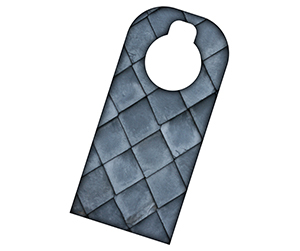 Apart from their application as door knob advertisers at hotels and many other prominent places, they can also prove as awesome advertisers on your car’s rear view mirrors. 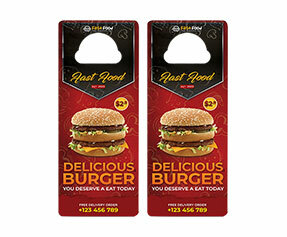 So whatever the purpose may be behind your 4 x 9 door hangers, make sure that you choose Printingblue as your premier printing partner. We offer bespoke printing services with sizes, shapes and designs that completely fit your printing needs.